On the assumption that Sidious knew of the prophecy and that Anakin was the Chosen One, did he not believe it would be his destiny? Perhaps he thought that turning Anakin to the Dark Side and giving him a Sith name would counter the effects of the prophecy, or that the Jedi had misunderstood what it meant. The prophecy of the Chosen One is a Jedi prophecy. As a Sith, Sidious has no reason to believe that it would come true in a way that favored the Jedi. He would regard it as no more than wishful thinking on the part of the Jedi. Sidious would have even less reason to believe the prophecy of the Chosen One would come true after Order 66 -- with most of the Jedi dead and the Sith in control of the Galactic Empire, the prospects don't look good for the Jedi. Obi-Wan: With all due respect, Master, is [Anakin] not the Chosen One? Is he not to destroy the Sith and bring balance to the Force? Mace Windu: So the prophecy says. Yoda: A prophecy . . . that misread could have been. The fact that Sidious managed to turn Anakin to the dark side would be a pretty good indication to Sidious that Anakin was not the Chosen One, even if Sidious believed the prophecy might eventually come true. After all, how could Anakin/Vader destroy the Sith if he was a Sith himself? It's also worth noting that we do not know the exact in-universe statement made by the prophecy of the Chosen One: every mention of it is a merely a reference to it made by a character. Usually those references only mention the part about bringing balance to the Force (as in Episodes I and II) -- the "destruction of the Sith" is mentioned along with the prophecy only in Episode III (by Obi-Wan, as in the quote above). This suggests that the prophecy merely predicts that the Force would be balanced, and that the "destruction of the Sith" part was how the Jedi interpreted the prophecy. Consequently, it's possible that Sidious interpreted the prophecy as merely that the Chosen One would bring balance to the Force -- and since the Jedi vastly outnumbered the Sith, the prophecy would actually mean that the Jedi would be reduced in number (i.e. that the prophecy would favor the Sith). This is an interpretation commonly made by fans, although Lucas has said that the correct interpretation favors the Jedi and includes the destruction of the Sith. In Legends, the Sith actually have their own version of the prophecy of the Chosen One: the prophecy of the Sith'ari. The Sith'ari is basically the Sith equivalent of the Jedi Chosen One, except that the Sith'ari would benefit the Sith over the Jedi. Sidious might have thought Anakin would become the Sith'ari instead of the Jedi Chosen One while Sidious was trying to recruit Anakin. After Anakin/Vader lost his limbs and was weakened in the Force, Sidious probably thought he would be the Sith'ari (he thought he would master the dark side of the Force and live forever). Dooku rejected the Jedi Order's interpretation that "balance to the Force" meant defeat of the dark side of the Force. His position sounds suspiciously like the Sith belief that the Jedi don't use the "full powers of the Force" by rejecting the use of the dark side. The alleged "destroy the Sith" part of the prophecy is also notably absent. 1. The Force was unbalanced due to having too many light-side users, who outnumbered the dark-side users. Meanwhile, the Sith were hindered by the Rule of Two, which only allowed for two Sith. Yoda: Always two there are. A master, and an apprentice. 2. The Jedi misinterpreted the prophecy. Obi-Wan believed that the prophecy fortold the destruction of the Sith. Yoda, however, cautioned that this was not necessarily true. As has been speculated by many fans- especially when seeking answers to who Anakin's father is, it is thought that The Force created Anakin as a tool to destroy the Jedi, in order to balance the force. Seeings as there were a limited number of Sith, it's fair to say that the Force was unbalanced at this point. The annihilation of the Sith would have further tipped the scales to the light side, therefore it is inarguable that the Jedi were the ones in the firing line. 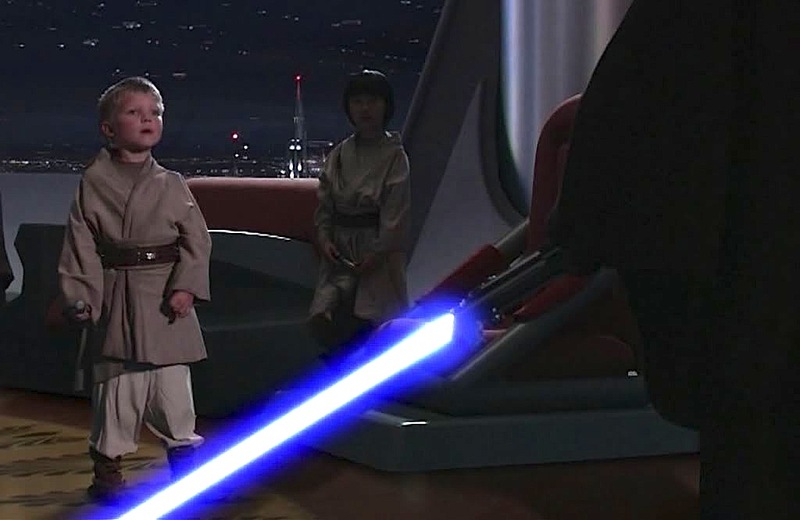 As we later see, the commencement of order 66, which murders many trained Jedi, is also aided by Anakin's mass-slaughter of Younglings at the temple. 3. Sideous used this knowledge to his advantage. By way of his careful manipulation of Anakin, Palpatine manages to seduce Anakin to the dark side. Therefore, in conclusion, it is likely that Palpatine not only knew of the prophecy, but also attempted to help aid Anakin's success for his own means. Not the answer you're looking for? Browse other questions tagged star-wars jedi sith darth-sidious or ask your own question. Who is Anakin Skywalker's father? Did Darth Sidious ever intend for Darth Vader to kill him and take his place? Did the Emperor foresee Vader's injuries? Did Palpatine have contingency plans for the death of the Sith Order? Why Did Anakin Skywalker Believe that Turning to the Dark Side of the Force Would Save Padmé? Did Darth Sidious know that Anakin was the product of his Master's experiment? Did the Rebellion know that the Emperor was the Sith Lord Darth Sidious? Did the Sith die out with Sidious' death? Why didn't Palpatine wait until after he learned the secret of cheating death before killing his master? Did Palpatine use the Force to convince Anakin to kill Count Dooku?